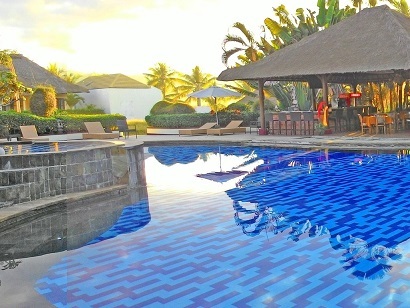 "Jembrana is one of Bali�s most isolated and untouched areas. Today, most tourists speed through the region on buses, racing along the 134-km-long road from Denpasar to Gilimanuk. The regency does offer utterly unique dance and ‘gamelan’ forms, isolated, stunning sea temples, challenging surf, and a heavily trafficked 71-km-long stretch of highway paralleling a coast lined with rocky, black-sand beaches pounded by high surf." Jembrana is one of the most remote and pristine areas of Bali. It has mountainous hills of virgin jungle with wildlife and vast, beautiful beaches. Jembrana has much to offer, who want more than a popular resort tourists. But so far, partly due to a large distance from the resorts, Jembrana has very little tourism. If you are travelling by ferry from Java to Bali land, the region of Jembrana first encounter with the magical island of the gods, and your discovery tour can start. It is a rugged region at the southwest coast of Bali with the capital Negara. Jembrana is mostly covered with forests, mountains, the coast and the West Bali National Park. The park is located in two provinces (regencies): Jembrana and Buleleng. The park entrance is on the side of Jembrana in the village Melaya on the road from Denpasar to Gilimanuk. If you are looking for pristine tropical nature, this is the "place to be". 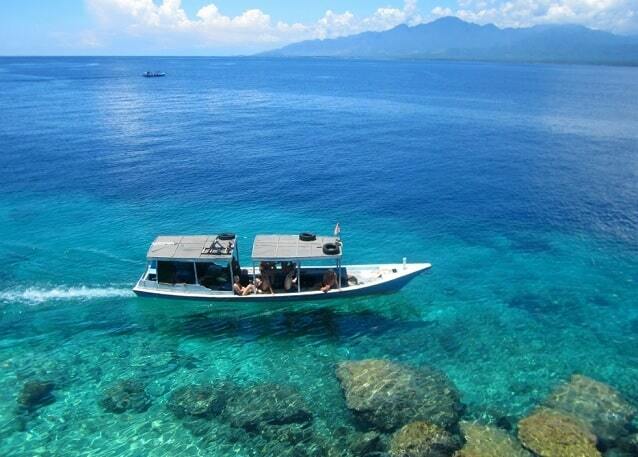 Jembrana has excellent diving and snorkelling opportunities. These are mainly found around the island Menjangan, with the Banyu Wedang hot springs in the vicinity of the coast. 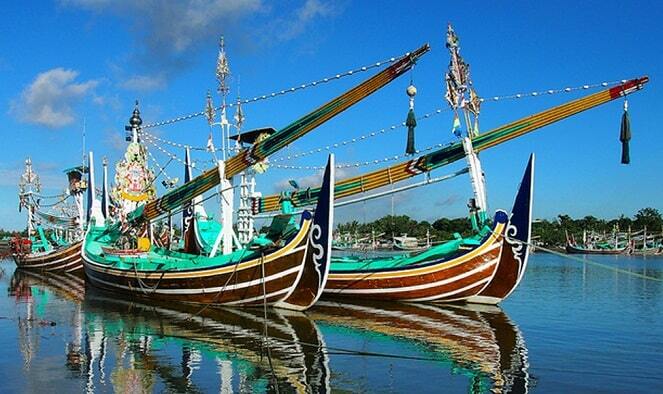 A large fishing community is located in the town Pengambengan, which is the biggest and most important fishing port on Bali. The regency Jembara consists of four sub districts and they are split up in 51 villages. Jembrana has probably the most ethnically diverse community in Bali. Negara - the capital of Jembrana. It is a small town that lies along the main road. It is famous for its bull races, which are held between July and October each year. The dates of the events vary from year to year. Water Buffalo's races are held by the local people. There are also horse racing. 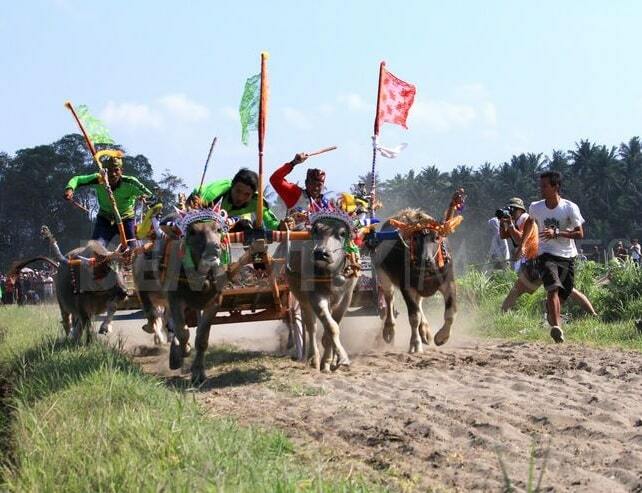 The races attract many tourists, as well as many Balinese. This event is held at the end of the harvest season. The races are judged on speed and style both. It's a great spectacle, as the bulls thundering over the muddy, narrow path. West Bali National Park - This park is the last natural habitat of the endangered Jalak Putih (bird: Bali starling). There are fewer than fifty of them in the wild. There is still the threat of poachers. This place is also home to wild banteng and Menjangan deer. It also has a large variety of different landscapes: mangrove coastal forest to savannah and rainforest. In the national park are leopards, wild boars, snakes, iguanas, lizards, turtles, monkeys, geckos and huge spiders. You can also find large herbivores such as deer, wild buffalo and banteng (wild version of the domestic ox). The park is a paradise for bird watchers. In the park there are a total of 160 different species. Medewi Beach - another famous surfing beach on the island of Bali. It's best surf in the morning, before the wind starts blowing. Tourist accommodations range from small guesthouses to hotels. Rambut Siwi - one of Bali's major cliff temples and the largest temple in the west of Bali. The temple was built in 1500 by the same priest who both built Uluwatu and Tanah Lot temple. The sunset from this vantage point is outstanding. Palasari Dam - good place for water sports. There is a Catholic church in the nearby village Palasari, where one of the few Catholic communities on Bali. Gilimanuk - the most western town of Bali. It is the point where the ferries make the crossing point to Java. The tranquil bay is good for water sports and it is the nearest place to stay, if you want to visit the national park. For travelers who want to take in the sights and sounds of Bali, Medewi Bay Retreat is the perfect choice. With its location just from the city center and from the airport, this 3-star hotel attracts numerous travelers each year. For those of you who want to venture out, Pekutatan Beach are just some of the attractions available to visitors. At Medewi Bay Retreat, the excellent service and superior facilities make for an unforgettable stay. Guests of the hotel can enjoy on-site features like gift/souvenir shop, Wi-Fi in public areas, car park, room service, airport transfer. The hotel features 24 beautifully appointed guest rooms, many of which include television LCD/plasma screen, private pool, air conditioning, desk, mini bar. The hotel offers an excellent variety of recreational facilities, including outdoor pool, spa, massage, pool (kids), garden. Medewi Bay Retreat is an ideal place of stay for travelers seeking charm, comfort and convenience in Bali.